Moon bears Cyril and Rocky both passed away after being rescued by Animals Asia from extreme cruelty and have been immortalised by legendary musician Rick Wakeman. 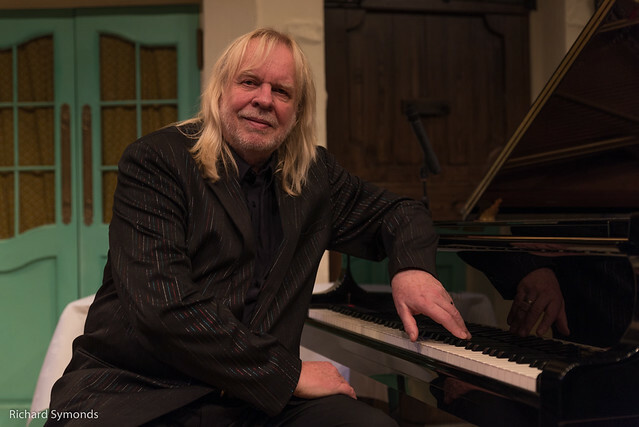 When rock legend Rick Wakeman of the progressive rock band “Yes” released his latest album Piano Odyssey in 2018, he included two tracks dedicated to bears rescued by Animals Asia. Now both piano pieces have been used to create music videos to raise awareness of the plight of bears suffering in the bear bile and exotic pet trades in Asia. Moon bear Rocky was rescued from 12 years in a tiny cage as an exotic pet in Vietnam, while moon bear Cyril was used as a breeding bear on a bear bile farm in Nanning, China. Tragically, Rocky died from liver cancer just three days after being rescued, while Cyril died from liver and kidney cancer before he could be transferred to Animals Asia’s purpose-built bear rescue centre in Chengdu, China. “Rick’s love for the bears is second to none and the music he has written and recorded for Cyril and Rocky is beyond beautiful. It is our hope that Rick’s support will bring the plight of the bears to a wider audience." The bile of bears contains ursodeoxycholic acid which has been used in traditional Asian medicine for thousands of years to treat liver and gall bladder conditions. Today, in Asia, over 12,000 bears are kept in tiny cages suffering daily bile extraction. Bears have been known to survive up to 30 years in these conditions though most die from starvation, dehydration, multiple diseases and malignant tumours. Animals Asia, the Hong-Kong-based charity for which Rick Wakeman is a UK Ambassador, has worked to end the trade since 1998 and has rescued over 600 bears. In 2017, the charity signed a contract with the Vietnamese government to completely end bear bile farming and rescue all remaining captive bears there by 2022. Around 800 bears are believed to still be trapped on bile farms in Vietnam. Following a successful career with “Yes” and collaborations with David Bowie, Rick Wakeman embarked on an acclaimed and prolific solo career. He has released more than 90 solo albums selling more than 50 million copies. His album Piano Odyssey reached number seven in the UK album charts and contains the songs “Cyril (Wolverine)” and “Rocky”, dedicated to the bears rescued by Animals Asia. Since the passing of Cyril, Rick and his wife Rachel have adopted a new bear who has been named Moon.